A South India sensation, a Hispanic-focused comedy and the highest-grossing film ever directed by an African American made up the top three films in North America on a culturally diverse box office weekend. Disney’s “Guardians of the Galaxy” sequel began its international rollout over the weekend, opening in 37 territories ahead of its North American debut. It earned an estimated $101.2 million, a promising start for what’s expected to be one of the summer’s biggest hits. “Guardians” will likely be the third $1 billion movie in 2017, following “Beauty and the Beast” and “The Fate of the Furious.” Disney said “Vol. 2” is running 57 percent ahead of the pace of the original, which made $773.3 million in 2014. 1. “The Fate of the Furious,” $19.4 million ($68.4 million international). 2. “How to Be a Latin Lover,” $12 million. 3. “Baahubali 2: The Conclusion,” $10.1 million ($3.7 million international). 4. “The Circle,” $9.3 million. 5. “The Boss Baby,” $9.1 million ($15.5 million international). 6. “Beauty and the Beast,” $6.4 million ($17.2 million international). 7. “Going in Style,” $3.6 million ($3 million international). 8. “Smurfs: The Lost Village,” $3.3 million ($11.7 million international). 2. “The Fate of the Furious,” $68.4 million. 3. “Shock Wave,” $24.2 million. 4. “Battle of Memories,” $21.8 million. 5. “Beauty and the Beast,” $17.2 million. 6. “The Boss Baby,” $15.5 million. 7. “Love Off the Cuff,” $13.7 million. 8. “This Is Not What I Expected,” $12.3 million. 9. “Smurfs: The Lost Village,” $11.7 million. 10. “The Mayor,” $5 million. Globalism Reigns at Box Office. 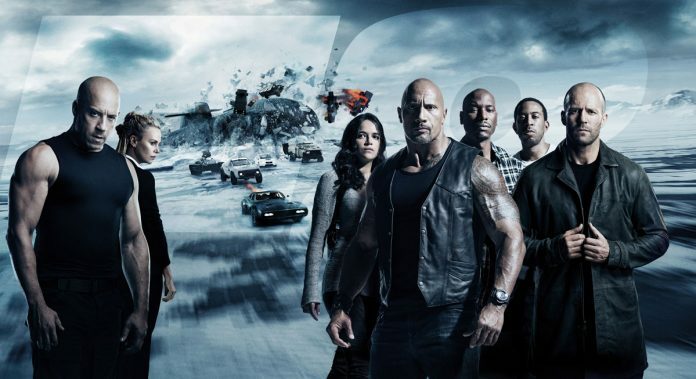 ‘Furious’ Passes $1B. Eugenio Derbez’s comedy, “How to Be a Latin Lover” made $12 million this week.